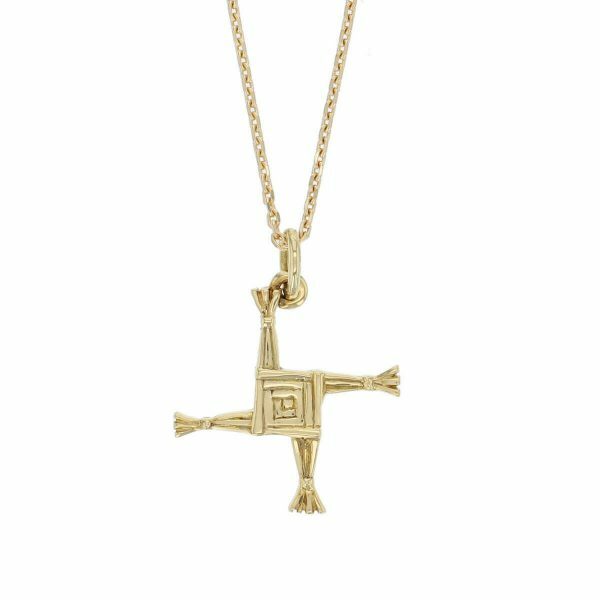 Pendant 20 x 20mm x 1.85mm (24mm high including top rings) in sterling silver with a chain or 18ct yellow gold with or without a chain. 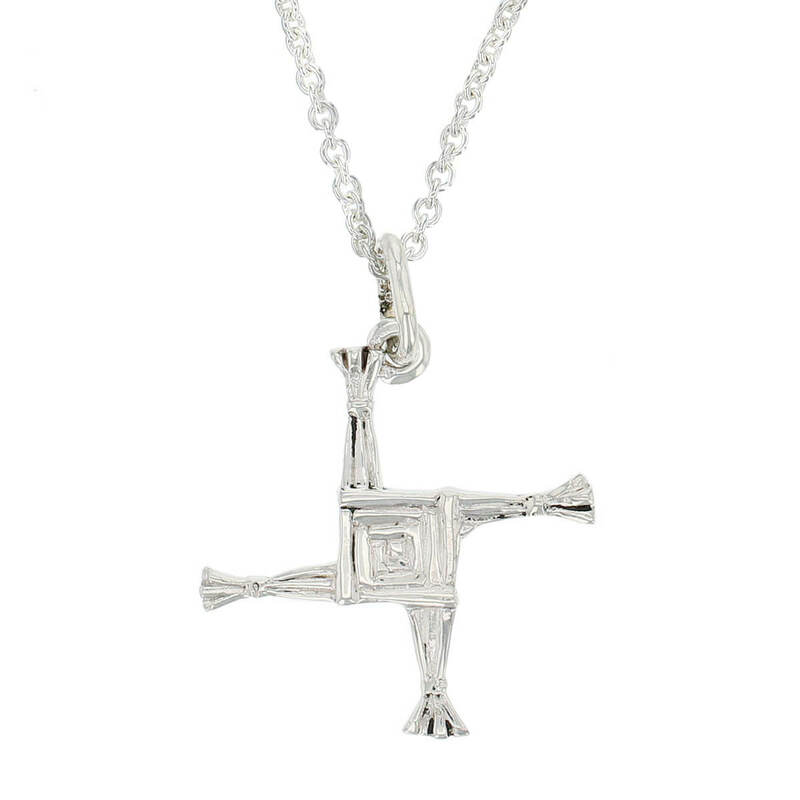 The woven rush crosses originating with St. Brigid, a patron saint of Ireland, are still made today to protect homes from fire and evil. Let this little cross protect you wherever you go.